Lácteos Caprinos closed the season of the international trade show in SIAL 2016 with great success. 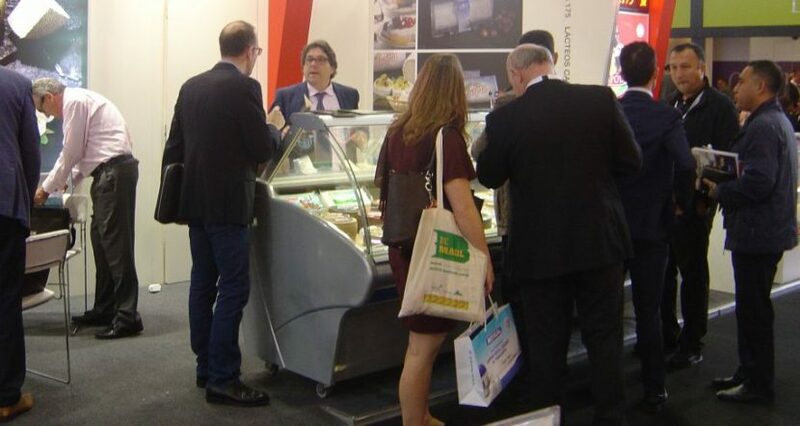 This international trade show, which is considered the second most important festival (behind Anuga), had a great number of exhibitors and visitors from around the world. Our stand, situated in the Spanish pavilion (dairy hall), had many visitors. Our cheeses and those of our collaborating entreprise, Quesos Aldonza y Don Ismael, caught the attention of the specialised public in this sector. We expect to keep improving our cheeses, to meet the expectations of those visitors both now and at the 2017 trade shows.